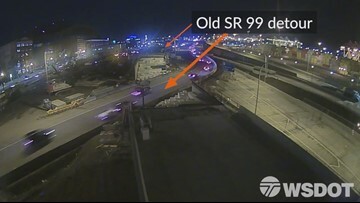 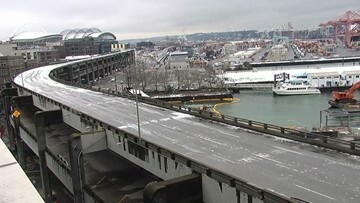 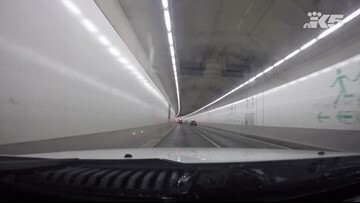 There are several lane, ramp, and tunnel closures on parts of SR 99 through downtown Seattle this week and weekend. 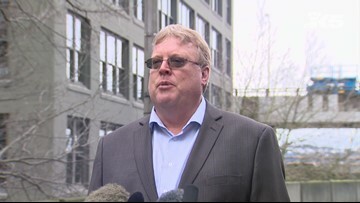 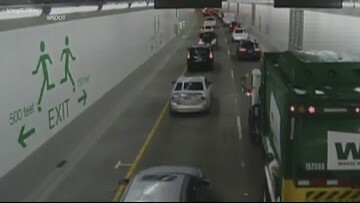 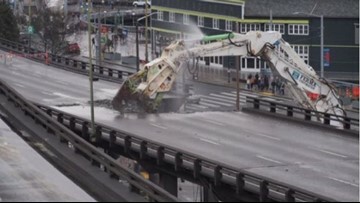 L&I says workers responsible for disposing of dirt and debris from the Seattle tunnel project are owed thousands. 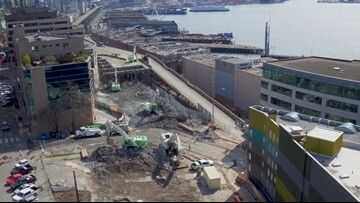 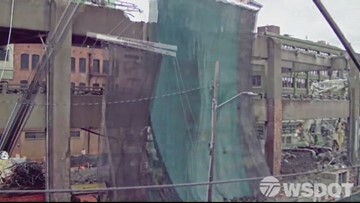 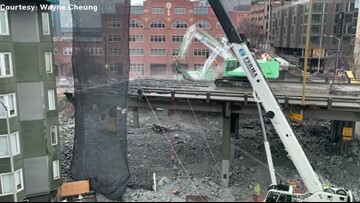 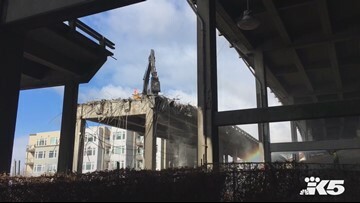 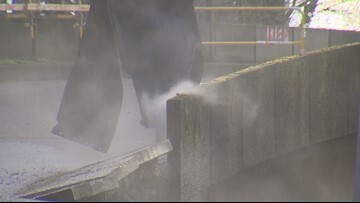 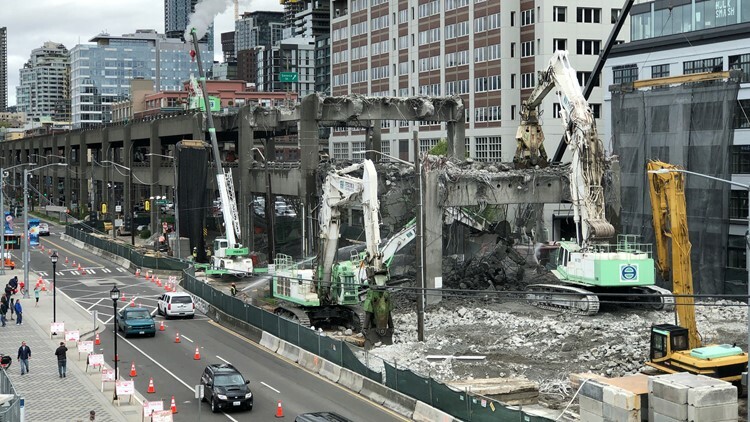 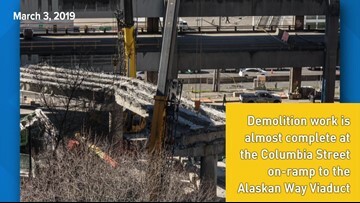 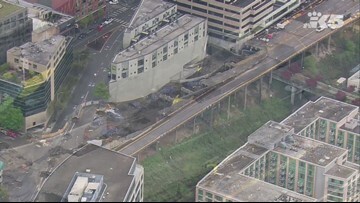 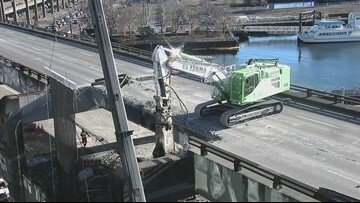 Demolition of Seattle's viaduct continued Wednesday, with large chunks coming down near the Seattle Aquarium. 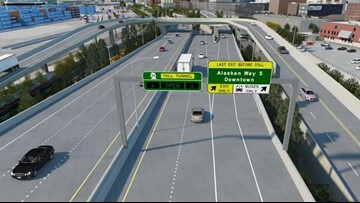 The new northbound State Route 99 off-ramp to downtown Seattle opened in time for Tuesday morning’s commute. 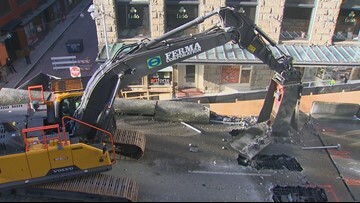 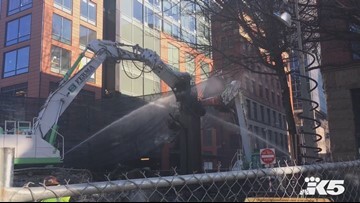 Inslee’s office posted a video showing him operating heavy machinery during demolition Friday.